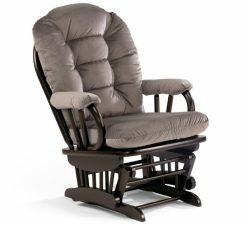 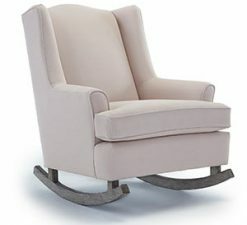 This nursery swivel glider has a traditional club chair look, but moves effortlessly with the superior Leggett & Platt mechanism. 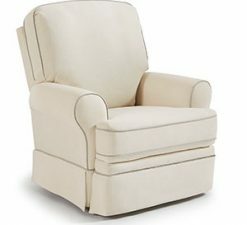 It features rolled, corded arms, and a semi-attached blown back with premium cushioning fibers. 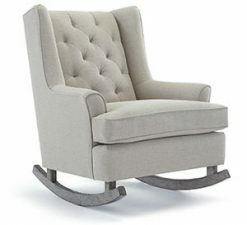 Made to last, the Braxton swivel glider chair is built with kiln-dried hardwood frame parts, reinforced joints, an all-steel mechanism and experienced Indiana craftsmen. 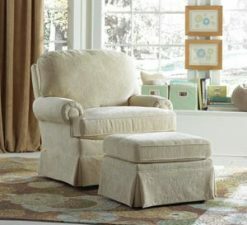 This look is completed with a reversible seat cushion and tall dressmaker skirt. 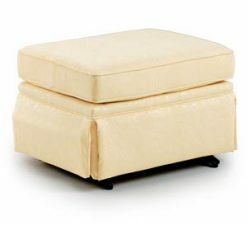 It is also available with a matching glide ottoman.